Meenakshi Khapre, Raviprakash Meshram, Abhay Mudey. Background: Anaemia is a global public health problem affecting more South East Asia in India the rate is even higher and moderate to severe is more among the pregnant women. Moderate to severe anaemia is important contributory factor in maternal death and leads to various maternal morbidities. Just knowing anaemia prevalence is not useful until associated with a picture of the various multiple causal factors in specific settings. Aims & Objective: To find the prevalence of severity of anaemia and evaluate the multiple casual factors among recently pregnant women in this rural area. Material and Methods: A cross sectional study was done in the OBGY OPD of tertiary care rural hospital. All the recently pregnant women diagnosed to be anaemic and residing in rural area with no other chronic infection or diseases. The pretested questionnaire was administered to them for personal details .BMI was calculated and peripheral smear, Stool examination, and electrophoresis done in cases as per clinical findings. Results: Prevalence of anaemia was 86 %. Overall 44.3 %, 50.3% and 5.3 % had mild, moderate and severe anaemia. Severe anaemia was more prevalent in women less than 18 yrs (12%), illiterate (8.8%), lower class (7.1% & 8.3%), spacing less than one yr (18.2%), and inadequate diet (6.2 %). Most were suffering due to iron deficiency (77%). Conclusion: High prevalence of anaemia early in pregnancy depicts the pre- pregnant status. Adolescent need to be given health education and develop mechanism to improve compliance of iron tablets. 1. Benoist B, de McLean E, Egli I, Cogswell M, editor. Worldwide prevalence of anaemia 1993&#8211;2005 : WHO global database on anaemia. Roma: World Health Organization 2008. 2. NNMB (2003) Prevalence of Micronutrient Deficiencies. NNMB Technical Report No. 22. 4. UNICEF. Progress for Children: A Report Card on Maternal Mortality. [online]. 2008. available from: URL: http://www.unicef.org/childsurvival/files/Progress_for_Children-No._7_Lo-Res_082008.pdf. 7. Tolentino K, Friedman JF. An update on Anaemia in Less Developed Countries. Am JTrop Med Hygiene & 2007;77(1): 44-51. 11. Ramachandran P. Nutrition in Pregnancy. In: Gopalan C, Kaur S, editors. Women and nutrition in India, Special Publication No. 5. New Delhi: Nutrition Foundation of India;1989. p. 153-93. 12. Ramachandran P. Anaemia in pregnancy. In: Ratnam SS, Bhasker Rao K, Arulkumaran S, editor. Obstetrics and gynaecology for postgraduates, Vol 1. Madras: Orient Longman;1992. p. 42-53. 16. Vijay M, Abdul R, Bhan VK. 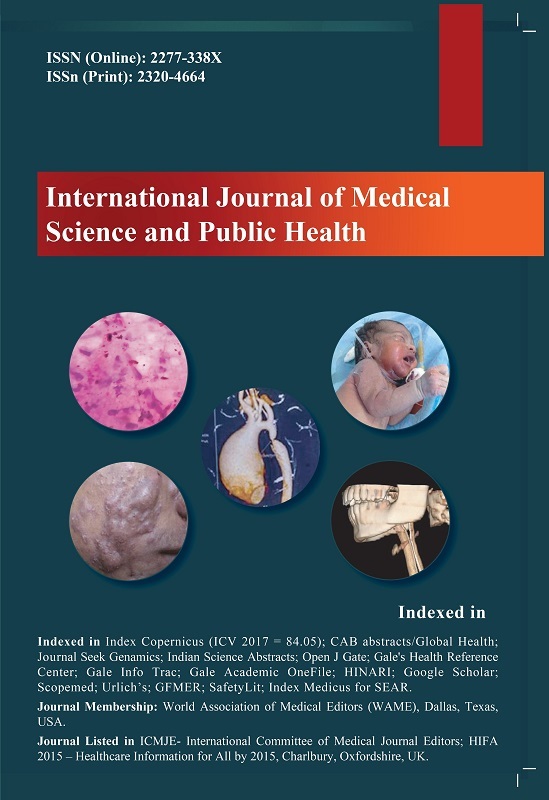 A study of anemia in Pregnancy in Block Ganderbal. IJCM 1988;13(2):92-98. 17. Viveki RG, Halappanavar1AB, Viveki PR, Halki SB, Maled VS, Deshpande PS. Prevalence of Anaemia and Its Epidemiological Determinants in Pregnant Women, Al Ameen J Med Sci 2012;5(3):216-23.